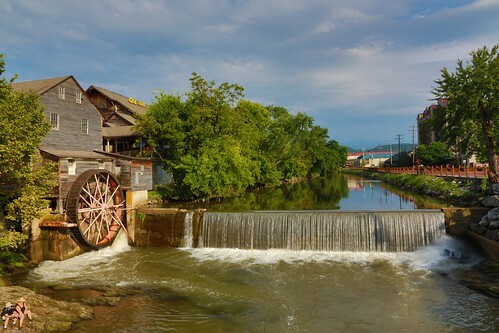 Old Mill in Pigeon Forge, originally uploaded by QuakerVille. 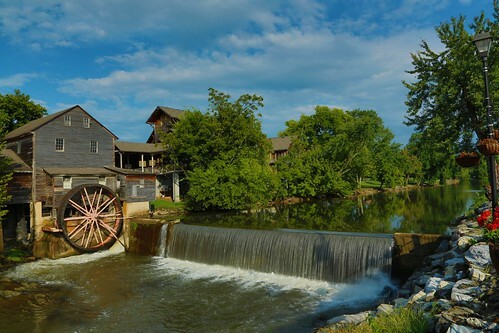 This is a beautiful summer picture of the Pigeon Forge mill. 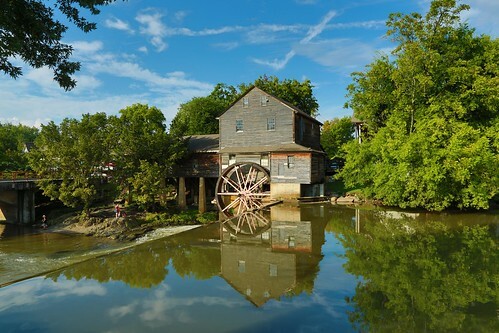 This mill was originally built-in the early 1800’s as an iron forge mill which defined the city name. This same building has also been a grain mill, electricity generator building, and Iron foundry. 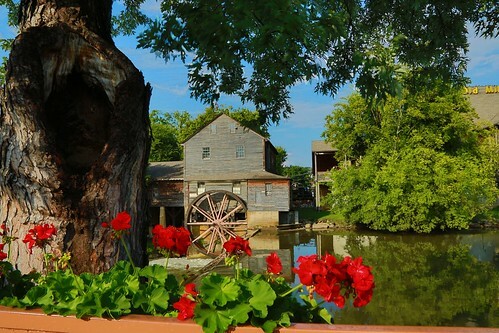 Currently, as has been since the mid 1900’s, the mill is maintained as a tourist attraction. My family and I have visited this mill since 1970’s and I have wonderful pictures of it in many stages, even before the Mill Restaurant was built next door. Should you be at the mill on a bright and clear day the photos can be outstanding. These were was taken last week during our vacation to the cabin in the mountains. Thank you for reading and responding. I hope I offer things that make you smile and take a minute to enjoy life a little.